Most old car fanatics will agree that the hunt is the best part of the hobby. Here are some pics of some very successful hunts. 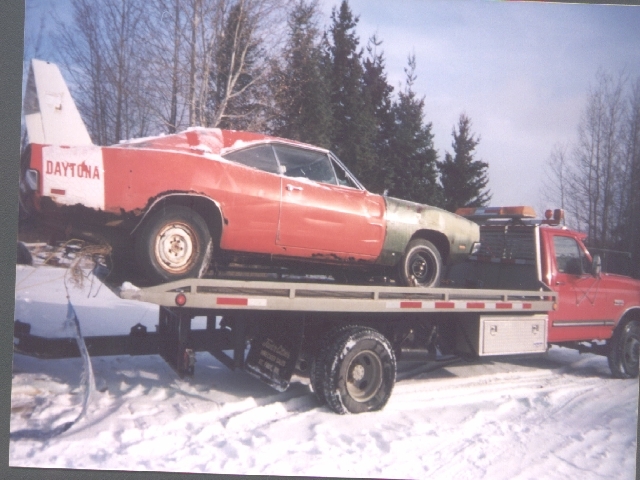 Example-In one day we found this 69 Charger Daytona, 71 Barracuda Convert, 70 Barracuda Convert, 4 AAR Cudas, and a 70 Challenger TA. Pretty wild day. All different locations and owners. Grab your buddies, your rollback and trailers, a wad of cash and just drive around for a few days. You WILL find stuff and meet great people along the way. 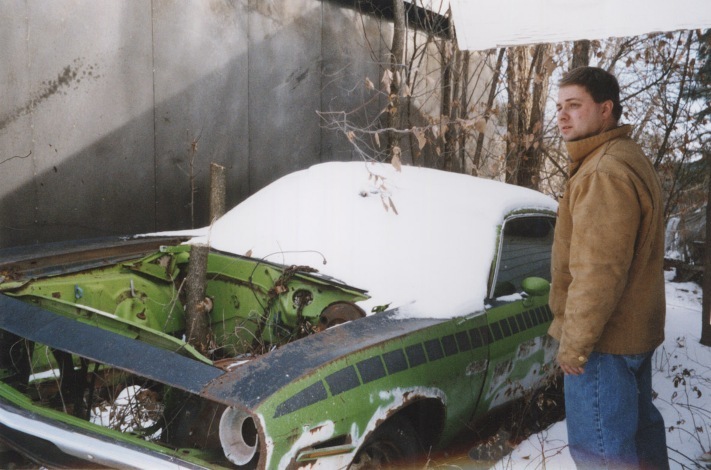 For many years an urban legend was told at car shows and swap meets among car guys of an old turkey barn northwest of the Twin Cities that housed many old collector cars, hot rods, muscle cars, motors, and parts all the rarest of rare. It was a who knows of or who has seen the biggest fish story. When stories such as this one were discussed you know that through the hustle and bustle of a car show or swap meet that all ears were listening, collecting pieces of the puzzle and trying to solve this tale. Was it simply a story that has snowballed for years? Or could there actually be such a place? Well for nothing more than bragging rights I for one was determined to solve the mystery. In 04 while car hunting one day for an elusive 69 Shelby Mustang, a legend that still remains unsolved, I walked up to a garage in a residential neighborhood and asked the owner if he knew of or has seen any 69 Shelby Mustangs around. He said no but after just a few compliments and questions his mouth began speaking of the turkey barn full of cars. Once again I am hearing this story. This guy seems to know all of the information I know and more. It seems he knows the guy personally! Could this legend be solved this easy? 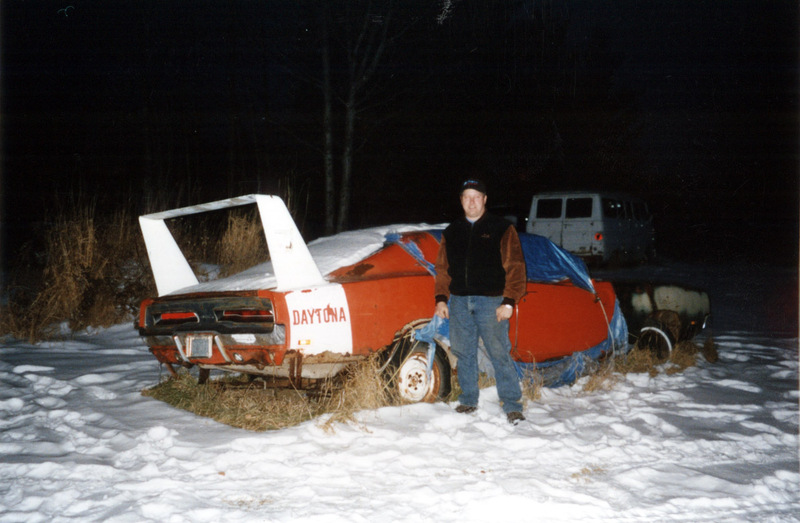 He tells me of a very private man, a collector, not really a car guy but more along the lines of a pack-rat. He claims none of the cars have moved in years. You will never find it, he said. Many have tried and I am not telling you his name. He went on to say, This guy is a high roller, one of those retired rich doctor types who are in charge of really important stuff like entire hospitals. He even has his picture up on the wall. He has gate keepers who you will never get through and lives in a mansion in Minneapolis. I thought to myself, a retired doctor who has his picture on a hospital wall and lives in Minneapolis . I proceeded to cut bait on the Shelby Mustang and drive to some hospitals. Found some nice pictures and after some research and flirting with some receptionists, I found a retired doctors picture on the wall in a hospital that lived in Minneapolis. With his phone number in hand I made the call. We discussed the elusive turkey barn full of cars. He laughed and said he did not have any cars in a turkey barn but has some cars in a building. He also stated he was not interested in selling any of then at this time but told me to keep calling and maybe someday we can go have a look. Every Saturday morning at 9:00am from September to February I called him and asked him if he would like to go look at his cars. Most of the time I got the answering machine but sometimes he chatted for a while. Just about when I was ready to give up it happened, one Saturday morning a little before 9:00AM my phone rang. It was the Doctor; he stated his name was John. Just call me John. Then he asked, How would you like to go look at some cars today? Well you can imagine my excitement. I immediately drove to his house, a very modest rambler in a very modest neighborhood. When I arrived I was greeted by a very tall soft spoken man in his late 70s wearing new clothes from the 80s and a worn out cap. We shook hands, he insisted on driving to the building of cars in his daily driver, a ten year old one hundred thousand plus mile hum drum grey common place Chrysler. John was an extremely frugal man. We arrived at what appeared to be a machine shed on what was once part of a farm but now was part an old industrial park. A cold storage steel building with a concrete floor approx 50×100 with one dim light in the middle, no windows. Once my eyes adjusted to the dark the sea of rooftops came into view. The cars were door handle to door handle. Not one rooftop was level meaning there were some flat tires. Songs have been written about the experience I was about to have. If you are into old cars imagine uncovering a 1966 Red Corvette Convertible for the first time in over 20 years and then noticing its a big block 427 4 spd. Under each cover was another amazing car, 41 cars in all. 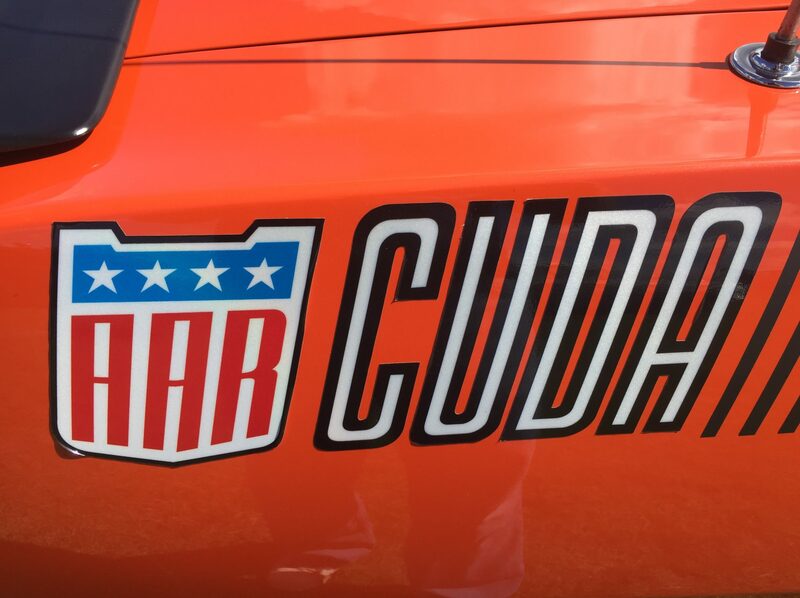 Mustangs, Cudas, Chevelles, Corvettes and even a Studebaker. Cars from the 50s, 60s, 70s, 80s and today. (like a radio station.) Parts and motors galore. baby Hemis and big Hemis. Oh man this was heaven. Complete with dust, dirt, rust and mice. Obviously most of the cars had not moved in years. Some were perfectly restored cars while most were retired daily drivers and or project cars. This guy really is a car guy through and through. He has accomplished what most car guys only dream of, a building full of cars just to look at. I asked if he has ever driven any of the cars or taken them to any car show. Oh no, he said. I only go to swap meets from time to time and haul stuff here. Yep I could see that he was most definitely telling the truth. 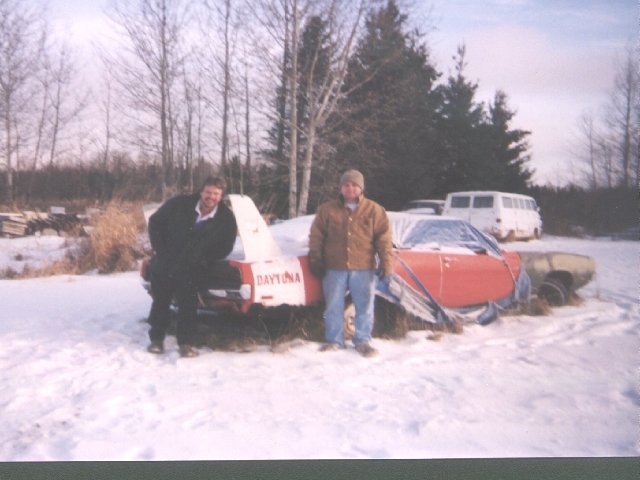 I took on the project of helping John sell off his cars, and the building. It took over a year to clean out the building of cars, parts and even a camper or two. 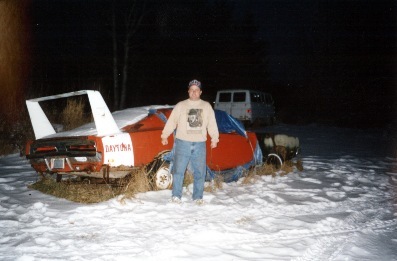 I have made many mice homeless and many peoples dreams come true by selling them the collector car of their dreams, Ok they may have gotten a mouse or two in the deal. One by one each car was literally extracted from the building on my car trailer, hauled 56 miles to my place and made to run, drive and stop, cleaned up and sold off. Some cars were painted, semi restored, and or completely restored. Most all received new gas tanks and brake lines and were sold off in 2004-2006 at the top of the market so John made out well. The alternative was a big auction at the building selling off a bunch of dead cars. What fun is that? 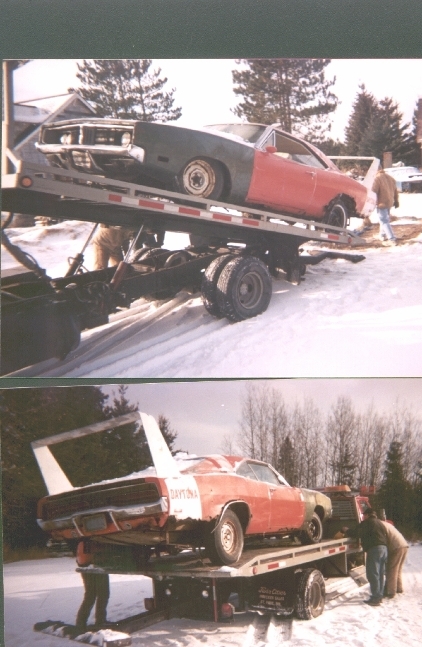 The parts were hauled to swap meets and the sold rest on-line. 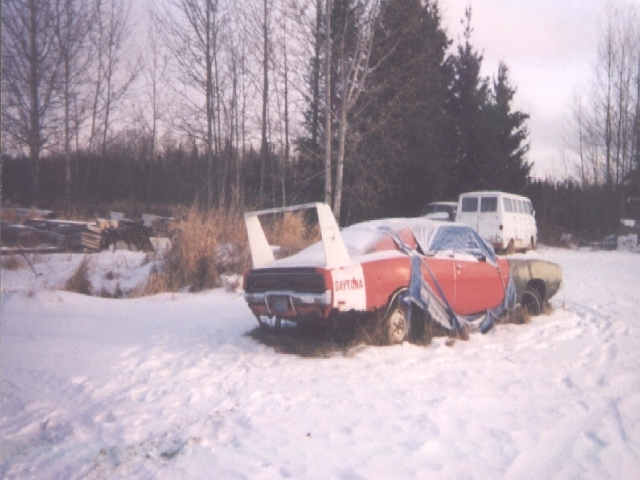 My little backyard hobby hot rod shop was bursting at the seams with cars, parts and a lot of hustle and bustle during that time. All of my personal car projects were put on hold for a few years. An image gallery is at the top of this article. There you will see pictures of the cars out of the turkey barn. Yes I have bragging rights to solving the legend and getting the cars out to the public. I spent four years all together selling off this collection, John never wanted to meet or deal with anyone. I believe he enjoyed watching the cars finally come to life. To date, he never drove a single one even though each and every one had current tabs and insurance. In the early spring of 2011 Doc John passed away. Respecting his wishes I have waited to tell this story as he was a very private and modest man. It seems he knew his time was coming and did not want to leave a mess for his kids to have to clean up. I actually recall him saying that very statement in our first ride out to his building, the Turkey Barn. 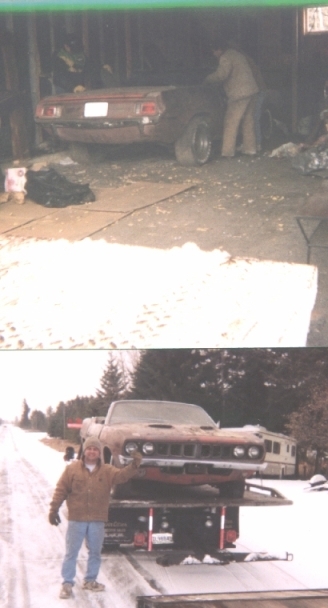 ’70 Barracuda Convert in a one car garage since 1978. 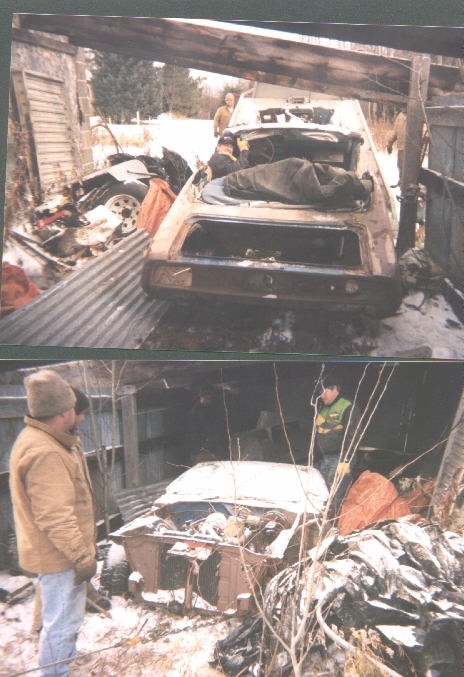 A two car garage was built in front of the one car garage trapping the car for years. First time seeing daylight was when it was loaded onto my trailer. 10 years prior to buying the car the owner ran me off his property after knocking on the door. He kept my number and I was his first call when he was ready to sell. Less than 12 hours later I was at his house with cash and a trailer.